Dakota Wesleyan students gathered at Dry Run Creek Disc Golf Course for the first annual disc golf tournament. Natalie Munger of Da 3rd won the women's division, and Joe Ford of PWNERS defeated Mike Lynch of Subzero in a five hole playoff to win the men's division. It was intense! 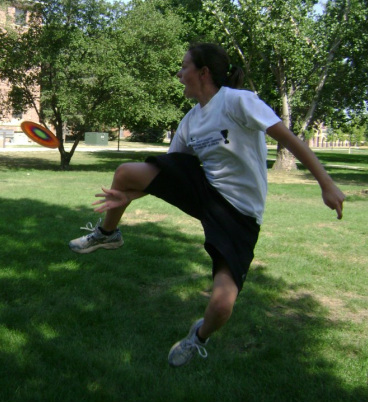 Natalie Munger showing off her disc golf throwing skills. Joe Ford posing proudly as the disc golf champ. Students came out to compete in various events at the Mitchell Recreation Center Pool, the track at Joe Quintal Stadium, and on campus during the week of September 12th for the Fall Games. After the scores were tallied and the medals totaled in a variety of events including, but not limited to, a big splash competition, swim relays, a potato sack race, a banana relay, and a rythymic gymnastics competition, Da 3rd came out on top as the Fall Games Champion. 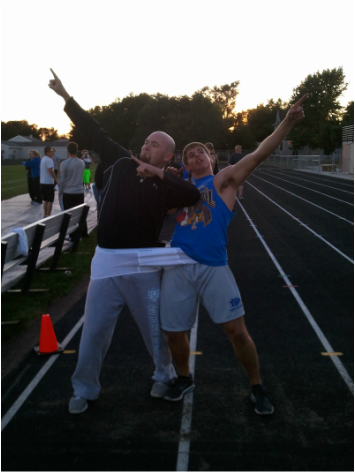 Terry Lundeen and Derik Fossum of FIH celebrate after winning the large man underwear race. The first DWU Muggle Quidditch event was held in September and nearly 50 students showed up to participate and spectate. At the end of the day, Da 3rd prevailed as champions over PWNERS and Subzero. 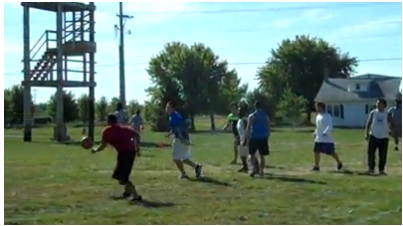 Click on the image below to visit DWU Intramurals' Facebook page and view the clip from the tournament. Subzero took on Da 3rd in the first match. A hard 'fowl' occurs between Jose Loera and Tia DeGeest in the lane as Tyler Sarringar of Wasted Talent dances pretty. By the way did you see Mike Lynch at the top of the key? Me either. Kyle Hoisington of Wasted Talent calling a foul while filling in as referee. 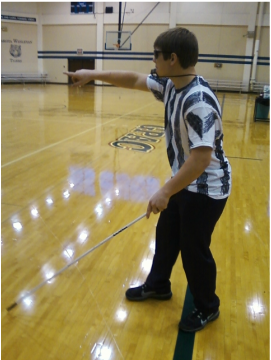 Unfortunately, he couldn't see that the game was going on behind him on the opposite court. 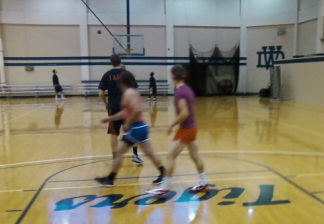 I'm not sure what kind of defense these boys are playing but at least they are doing it in step.